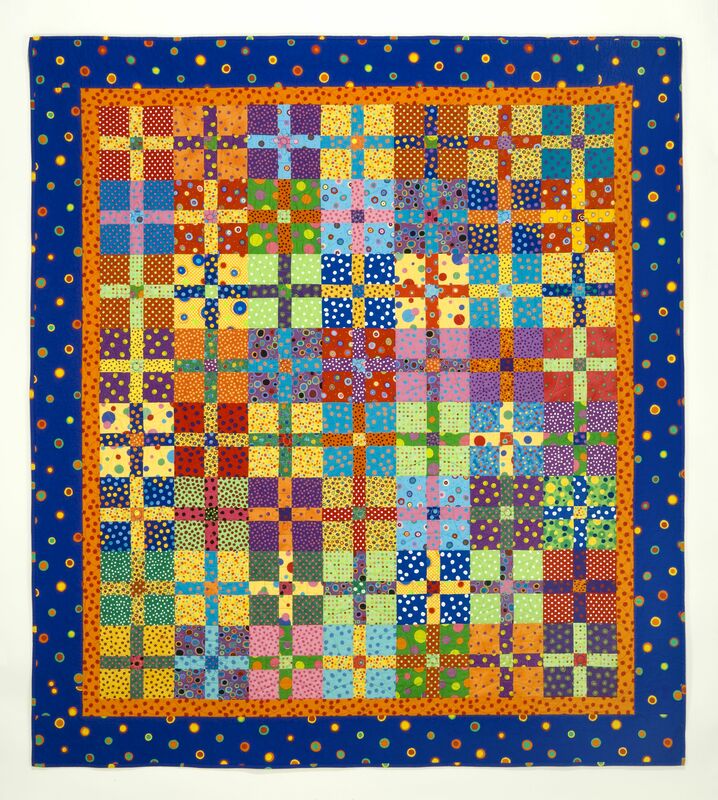 Soon to be released is this fun new book 500 Traditional Quilts by Karey Patterson Bresenhan, which just happens to contain 3 of my quilts. 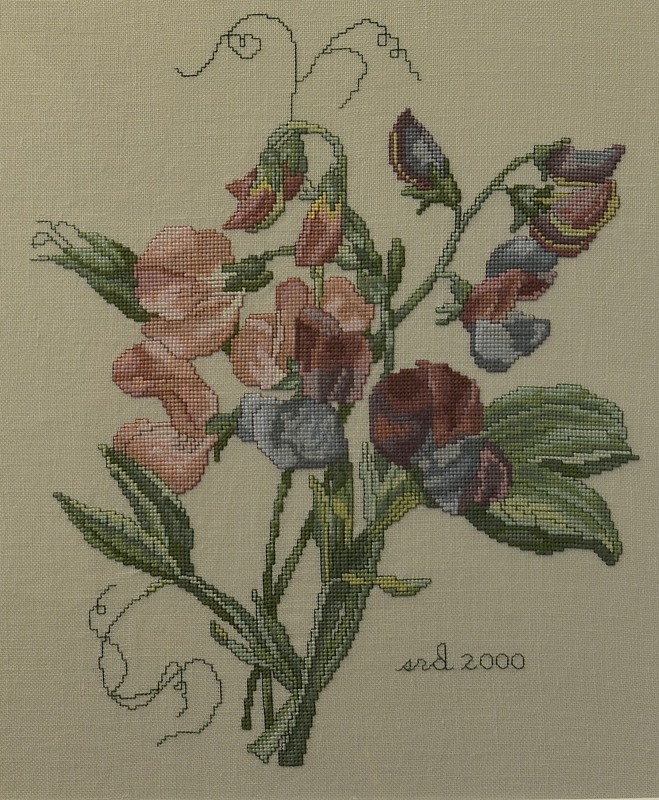 Click here to see the book’s preview online, featuring my Food Quilt on page 19 of the preview. I have written about these quilts before, but I’d like to brag and showcase them again here. 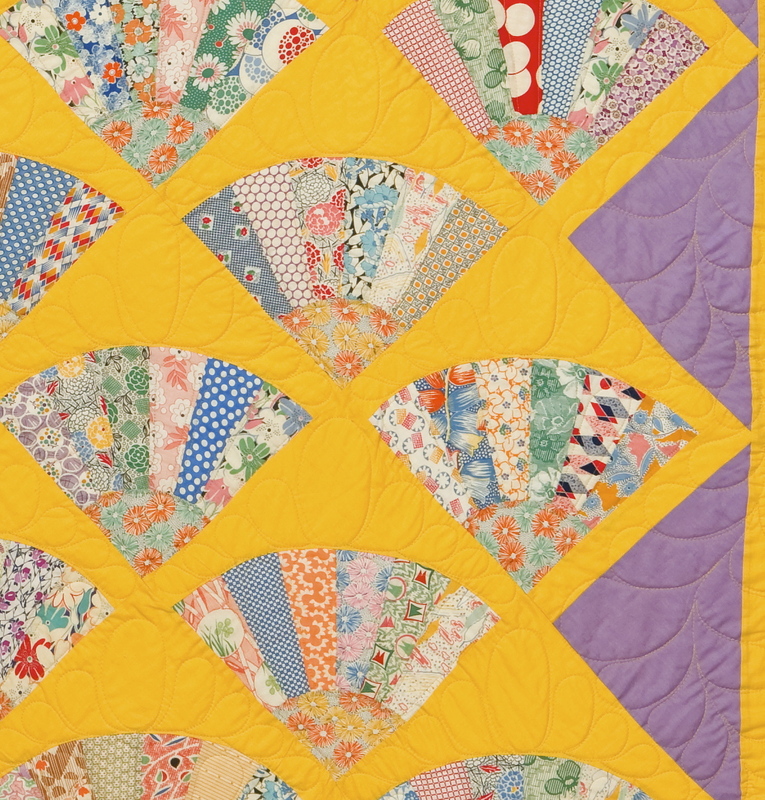 The Food Quilt, made entirely of vintage “kitchen” fabrics, reminds us of an era when all women sewed and made their own kitchen curtains, tablecloths, dish towels, and aprons. 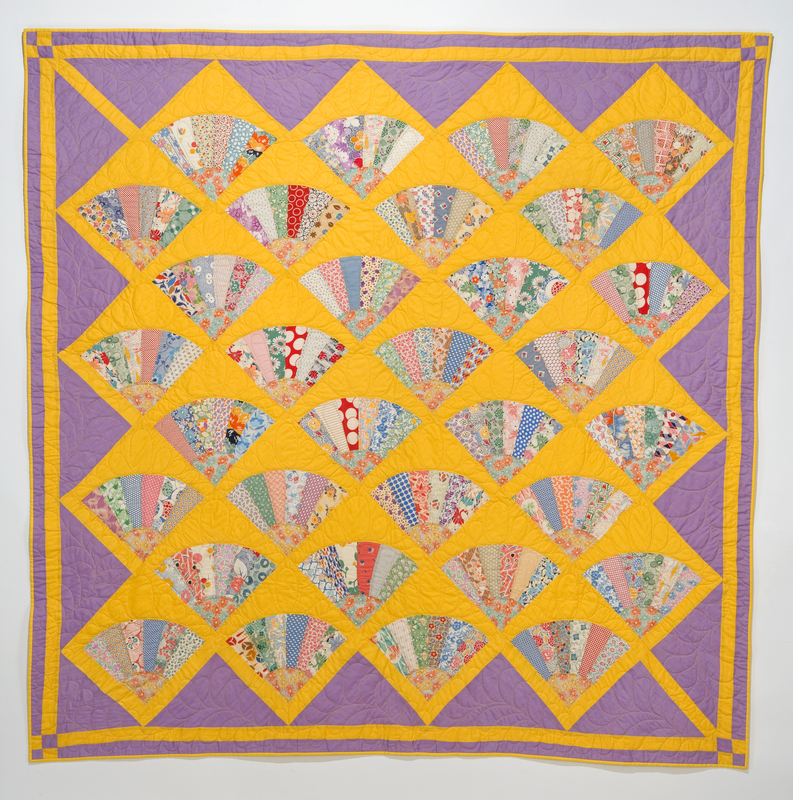 I featured this quilt in this blog when I was describing my love of all things vintage, as well as my fascination with foundation piecing techniques. Read the entire story of this quilt here. A second quilt featured in this book is Dot to Dot, made for my daughter’s high school graduation. It features only dotty fabrics and was a joy to work on. Read its full story here. 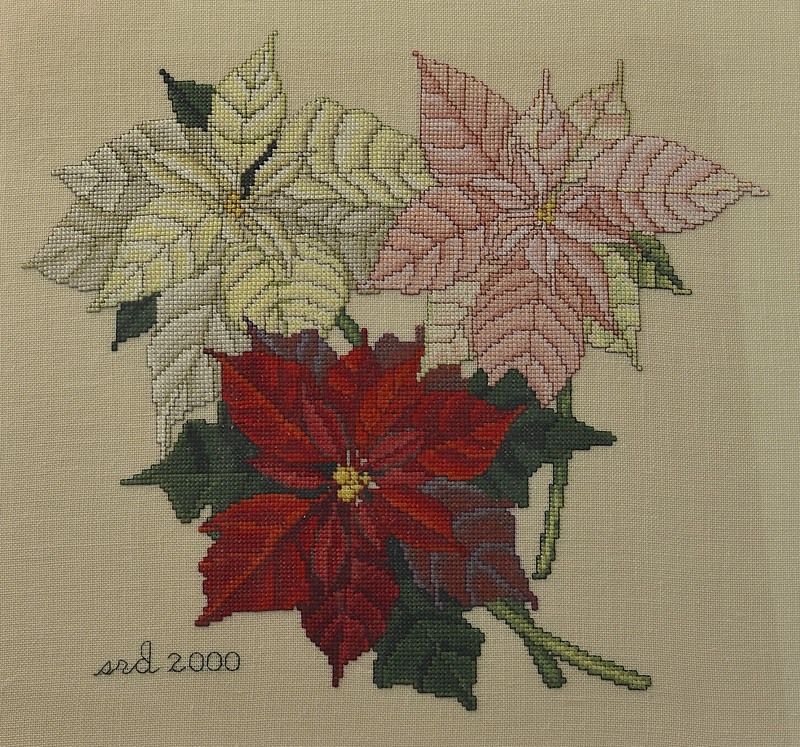 The third quilt selected is Redwork Revisited, which continues my celebration of all things vintage, this time incorporating vintage embroidery transfers.. 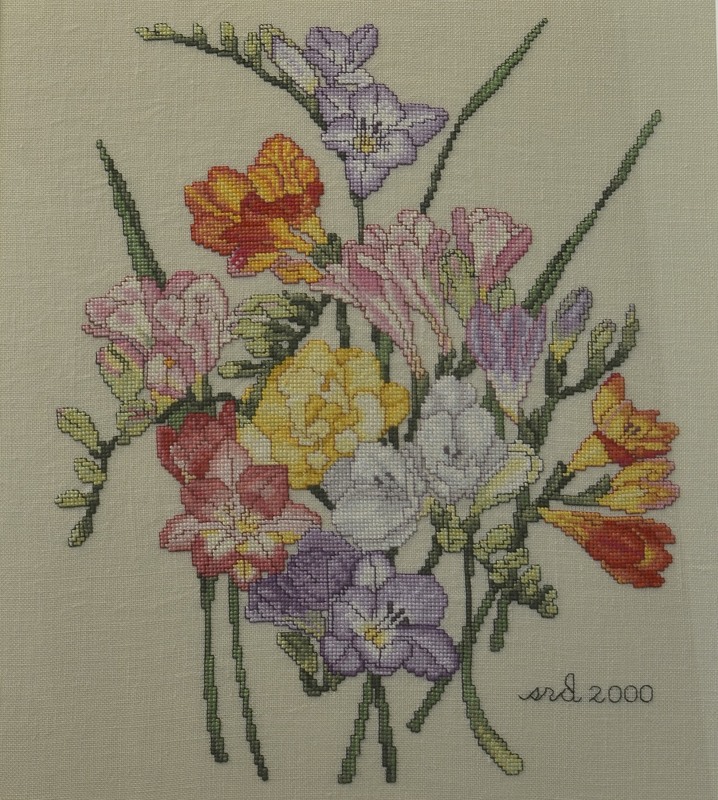 This one was another in the labor-of-love quilt series, and please do not ask how long it took to make it. Read this quilt story here. I am very proud of all three of these quilts and quite pleased they have received this recognition. You can see these quilts in person at the International Quilt Festival Houston 2014. 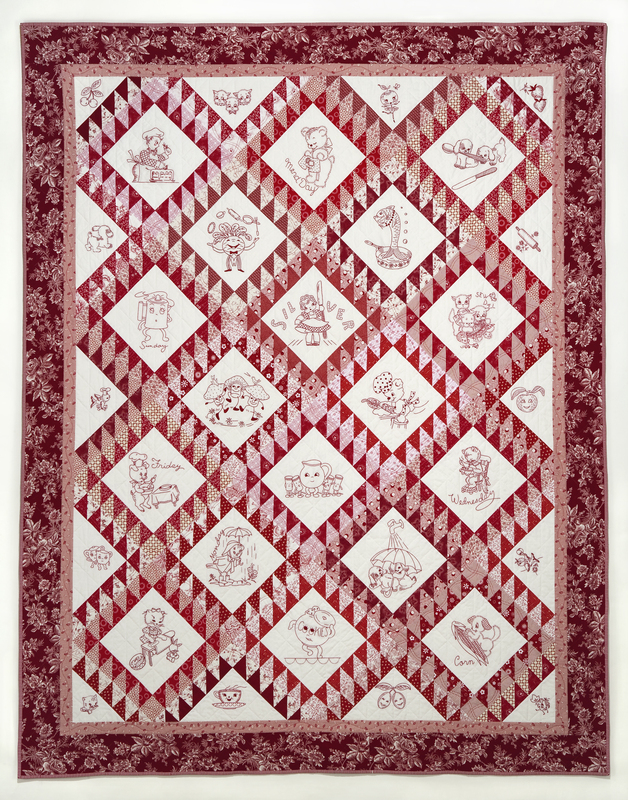 Redwork Revisited will be shown in the Ruby Jubilee: Celebrating 40 Years exhibit, which will showcase red and white quilts. 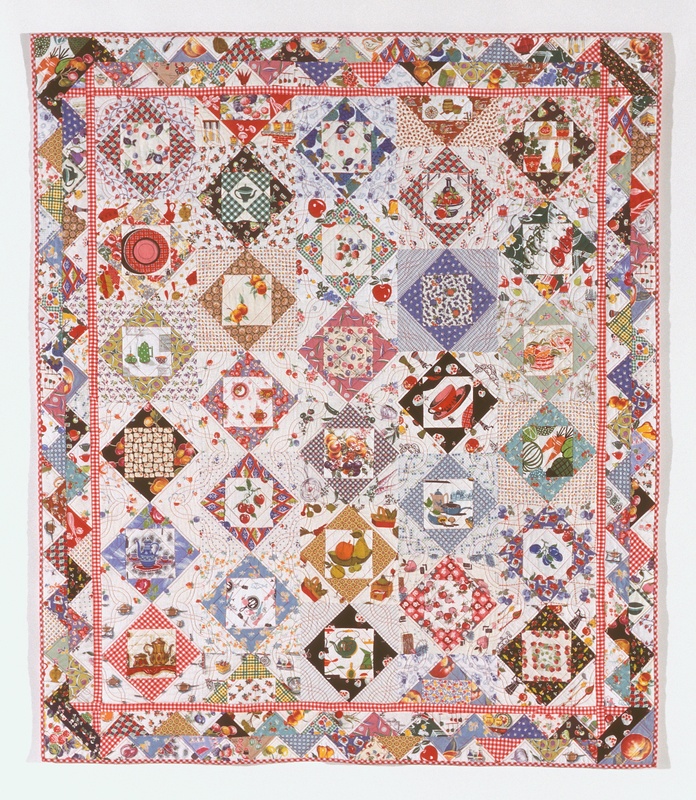 The Food Quilt and Dot to Dot can be seen in the 500 Traditional Quilts exhibit, along with other quilts from the new book. 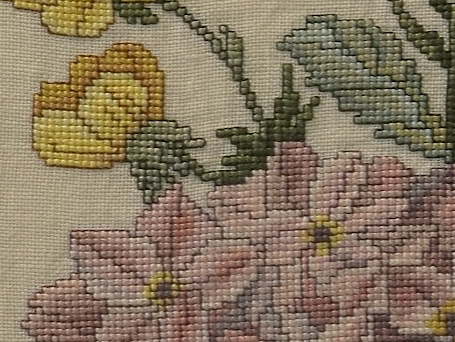 Continuing the cross-stitch story from the previous post . 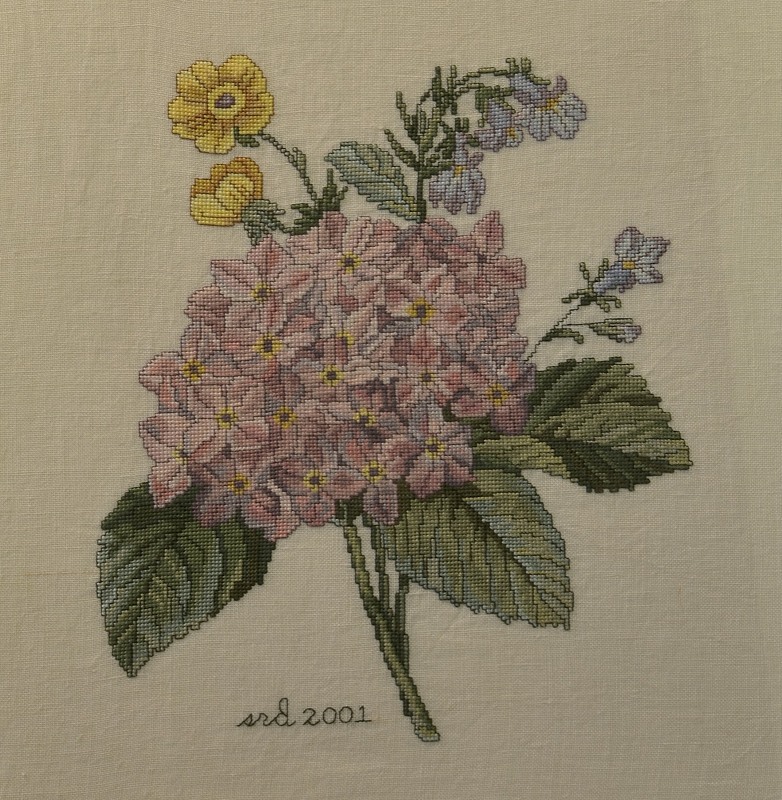 . .
Before I discovered all the roses, I had discovered other Lilac Studio designs for wonderful flowers and groups of flowers. These were all delicately shaded, artfully composed, challenging to complete, and very attractive to me. One of my all-time favorite flowers, this hydrangea is one of the ones still on display in our home . My next favorite—these freesias have a mix of both bold and muted color palettes. Loved the blues in this design. 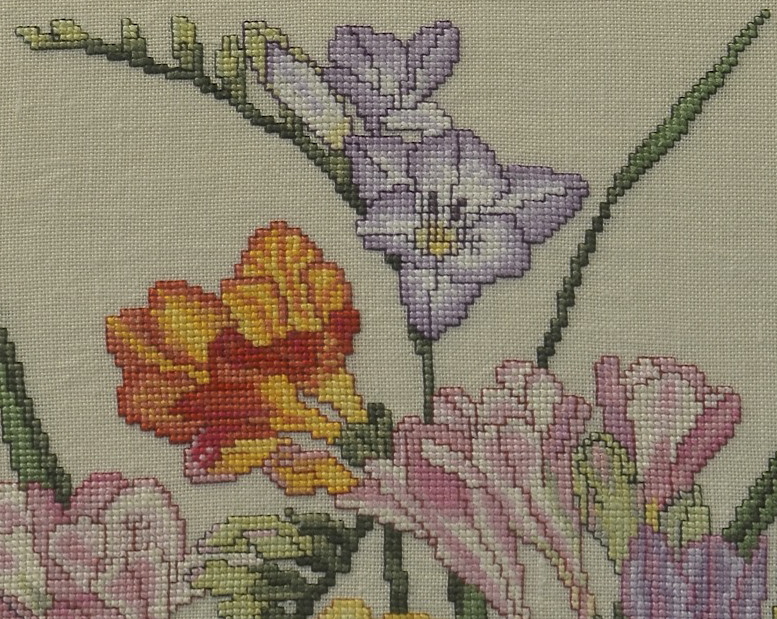 Some of these patterns are available online on occasion, most likely on Etsy or eBay. I recommend this as a meditation exercise or a compact travel project. I just did a search and found two more patterns that I had not seen before; am desperately trying to resist the urge to start another of these fun projects. Don’t know if my eyes can handle it anymore. Alas. . .